Turns out hump day was a big day for Virgin America Airlines. The San Francisco-based carrier announced its fourth-quarter and full-year earnings on Wednesday, with operating income of $34.2 million and net income of $28.1 million, excluding special items in the fourth quarter, representing the highest net income for a Q4 in company history. It was the ninth consecutive quarter of year-over-year improvement in income, excluding special items. 2014 full-year net income was $84.4 million, excluding special items. 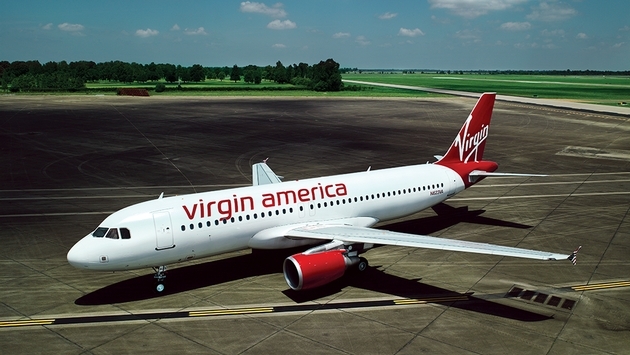 Revenue rose 3.4 percent to $372.2 million as Virgin America went public this year. Full-year net income increased by $74.2 million over 2013, representing a seven-fold increase, the highest in the company's history. "2014 was a remarkable year for Virgin America on every front," David Cush, Virgin America's president and CEO, said in a statement. "We achieved record profitability and significantly strengthened our balance sheet by going public in the second largest airline IPO in history. Both our existing and new investors have shown confidence in our low-cost, high-amenity business model – and we've continued to sweep the major travel awards for both operational excellence and our innovative service. Importantly, we've also continued to exceed the industry average in Revenue per Available Seat Mile (RASM) growth and also shown a significant RASM premium on some of the nation's most competitive business routes. Our 2014 results are a credit to both our guest-focused teammates and a consistent, award-winning product." The airline also announced new routes from Dallas’ Love Field to Austin, Texas, with connecting service out of Love Field to Los Angeles, San Francisco and Washington, D.C.
"We're especially pleased to expand our service to Austin, a city that was previously only served by a single carrier on the DAL-AUS route," Cush said in a statement, referring to Southwest Airlines, which owns 16 of the 20 gates at Love Field.